I thought I was regaining the original Pool Calculator of a few years ago. That app was the best pool app besides LSI that I have ever used. I don’t know what you people were thinking by attaching the old logo of pool calculator to this worthless app. Give us professionals something like the original to use!! Awesome app- all the same data and features as the website. Updated review: 06/06/18 Thank you to the developer for your detailed response to my initial review. I look forward to seeing how your vision for the app progresses. ———————————————————————— Original Review: 06/03/18 If you have the older app, don’t upgrade!! This used to be a great application, prior to the so-called 2018 update. Now, it doesn’t perform any calculations (iOS 11 latest updated version). The original app hadn’t been updated for 7-years...but worked great. 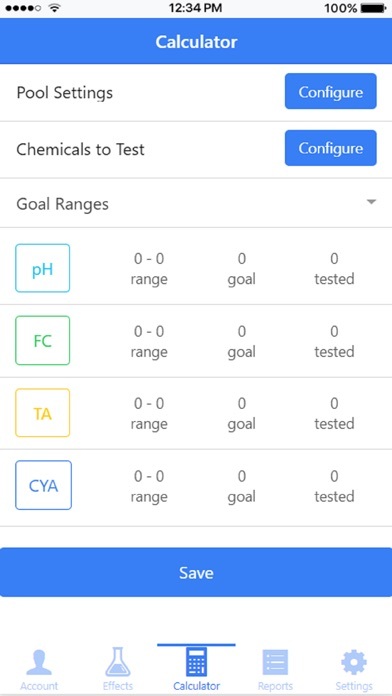 Not only doesn’t this app work, they destroyed the layout for the entry of current and goal chemical values. Why did the developer feel the need to break something that wasn’t broken? Don’t make the same mistake as I made. Don’t throw your moneyy away on this app!!! Not worth $5. Issues: 1. Interface is still not user friendly. A. The refresh icon actually does a reset of all values including my profile values. It should only reset the test entry values. Also get rid of the icon. It should be a button of some sort within the form. The upper menu should only be used for navigation. B. When entering values on a screen and the keyboard pops up, you can’t scroll to see what you are entering. Also, the bottom menu pops up just above the keyboard blocking what you are entering. Menu should disappear in entry screen and only show on the main screen C. Number entry should really be done via a scroll or wheel type of widget. D. It’s unclear what the inbox icon is supposed to do. E. Has a history bottom menu button but initially brings up a blank screen. If no values yet, it should show a sample of what it will eventually look like. F. No help feature anywhere within the app. 2. Still does not save values A. Reset/refresh icon loses all profile pool info including pool address, preferred pool test with its preferred value ranges. 3. Misc stuff A. Logo isn’t centered on startup B. Provide a app feedback mechanism within the app and on the website. C. The app needs to be better and physically tested on the most popular current phones. It doesn’t look like it has been given the basic issues. I have an iPhone X and I’m using the app in a vertical mode. Well... I did download the new app. It calculates correctly. He doesn’t save. It appears to save something (wish I could put in a screenshot), but when you select the result in the history tab, there is nothing there. That said, it calculates correctly. Which is what is important. I put the screenshot into my notes app. Wants an account set up? For what purpose? My Pool uses 12.5% liquid chlorine (bleach) injection. To calc an addition, it asks for % chlorine then asks for a type, and liquid bleach isn’t a type. Thanks for the quick response. It does save settings by pressing the check mark but not all. For example, I set a salt range and goal for troublefree pool (which is saved there) but doesn’t show up in the testing tab. There are other UI improvements that should be made. For example, when entering test results you have to delete the default zero that is there before you enter the result. Can you include bromine in the sanitizer choices for spas? Can you allow a choice of units in effects; i.e. not just oz but also lbs for chlorine which is useful for super shocking. Can you have an option to set a default pool, range and tests on startup. Thanks this has the makings of being a really good app. 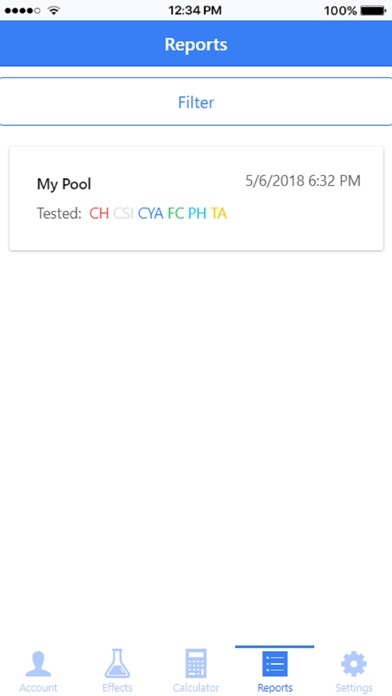 This is the best app for tracking pool levels, but there are some tests that are missing that would make this app even better, such as combined chlorine [can then calculate TC as well]; copper, iron and phosphates. I also don’t need borate or salt. If these options were added or if we were given the ability to add these; then this app would no doubt be the best. Even if all tests for all types of pools were added and then have the ability to either show or hide what is needed would work well too. As far as I’m concerned, you took a good app that was extremely easy to use and made it more time-consuming. I loved how previously I could just scroll the figures that I needed. I could quickly get to what I wanted entered, now I have to tap repeatedly on my iPhone to get the cursor in the right position to backspace stuff out and type in what I need. 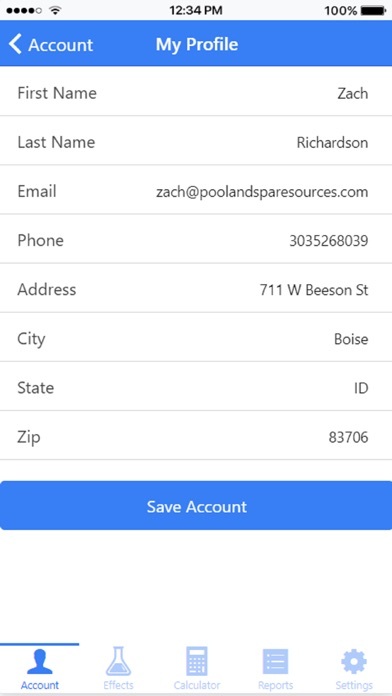 I’m looking for another app to do my pool calculations. Worthless! Can’t figure out what it actually does. Doesn’t calculate anything. Takes a lot of your personal info but doesn’t give you any additional information. Garbage app, don’t waste your money and time. Better free apps out there. Great app but needs to be updated. Great app and just updated 6/2018 to iOS 11. Thank you development team. Major disappointment with this new version. Perhaps Im not using it correctly but if not where are the instructions? Entering the data from your tests is not easier. And there are no results given. No amounts or volumes of chemicals, etc, in an easy to read format I want my money back. Paid money for it and it requires an account, never said anything of that in the description. This is suppose to be a simple pool calculator app not an account requiring app. Thanks for the update, it does allow me to register. Actual use seems a bit awkward, not intuitively obvious at first. I’ll continue to play around with it but to be honest, Pool Math may continue to be my go to solution. .....Hard to use when it won’t allow me to create an account. Not so glad I paid up front. They do not update the app. Have not been able to use it for over a year. Keeps saying that it needs updated but they never do. Please remove the app so no one else purchases this and wastes there money or update it so it can work with the iPhone 7. iOS 11. Useless for now, has been great tool for years. I liked the app. It provided good information and accurate chemistry as compared to the Taylor test kit manual. However it is unusable now because the developers have not updated the app to be used with iOS 11. Its been over 6 months or so now? When will you update this app so I can use it again? As a pool guy I use this app frequently but now I can’t because of the update issue. Love the app!!! Can’t use it anymore. It needs to be updated to work with iOS 11. Please update it!! !